The department is on track to spend about $30 million this year in OT — nearly double what the city council budgeted. 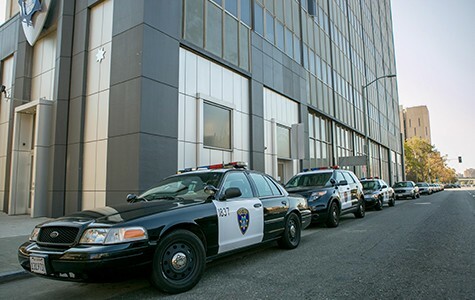 Over the years, several mayors and city councils have tried to reduce the Oakland Police Department's overtime expenditures, but OPD continues to spend tens of millions of dollars on overtime annually — and the problem has been getting worse recently. According to city records, Oakland has spent approximately $232 million on police overtime over the past decade. In addition, since 1999, OPD has exceeded its overtime budget in every year except one, totaling $81 million in extra spending. It's not entirely clear what amount of OPD's overtime spending is due to short staffing, and therefore necessary, given the mayor and the city council's desired level of police services; what's due to inefficiency within OPD; and what is caused by officers who game the city's compensation rules to juice their paychecks. Last week, Oakland's new city auditor, Brenda Roberts, presented the results of a recently conducted audit (begun under her predecessor Courtney Ruby) showing that the past four years have seen the most dramatic rise in police overtime in recent history, from $14 million in overtime in the 2009–2010 fiscal year to $24.7 million in 2013–2014. Oakland's City Administrator's Office projects that this year's bill for police overtime will amount to $30.3 million, almost double the $16.3 million budgeted by the council. So what's driving police overtime spending? And can Oakland reduce, or better plan for this expense? "Cutbacks in the number of sworn officers [starting in 2010] had impacts," said Roberts in an interview. "Staffing dropped considerably, and OPD had to be able to use overtime to put minimum levels on the streets." OPD's number of sworn officers dropped from 830 in 2009 to a low of 613 in 2013, but OPD did not proportionately reduce the number of cops on patrol. Instead, using overtime, officers backfilled patrols that would have otherwise been eliminated. As a result, overtime expenditures soared. The auditor counted 154,591 hours of overtime worked by officers filling in patrols in fiscal year 2012–2013, creating the equivalent of 64 extra full-time officers. In addition, the city council and former Mayor Jean Quan didn't budget enough funds to reflect the actual cost of Oakland's cops working overtime. "The issue is not that overtime substantially increased," said former City Administrator Dan Lindheim, who served under both Quan and then-Mayor Ron Dellums. "That may have been necessary, but there wasn't transparency in financing substantial numbers of additional police shifts through overtime." Under Lindheim's watch, from 2009 to 2011, police overtime spending dropped to levels roughly equivalent to the budgeted amount. There was even one year in which overtime ran under budget by $697,000, totaling $13,954,000. Since then police overtime spending has grown by an average of 14 percent a year, high above budgeted levels. Rashida Grinage of the watchdog group PUEBLO believes that OPD calls the shots when it comes to overtime spending. "The fact is that Oakland cannot govern its police department, period," said Grinage. "Whether it's financial issues, or compliance with court reforms, or disciplining problem officers, this city does not have the ability to control its police." Grinage is skeptical that the auditor's new report will initiate changes. "Some of these recommendations in the current audit go back twenty years," she said. "The story of Oakland is we hire people to tell us what to do, and then we say, 'Thank you very much,' and we shelve the report and don't do anything about it." A 2002 a report, produced through the Moving Oakland Forward initiative, recommended that Oakland "analyze the factors that contribute to Police and Fire overtime to make feasible recommendations to correct the problem [of overspending]," and "that departmental budgets include a reasonable cost for overtime." In 2005, the city council hired the PFM Group, an outside consultant, to audit OPD's overtime expenditures, which had nearly doubled over the prior two years. PFM concluded that OPD's overtime "has consistently exceeded the budget by a wide margin." 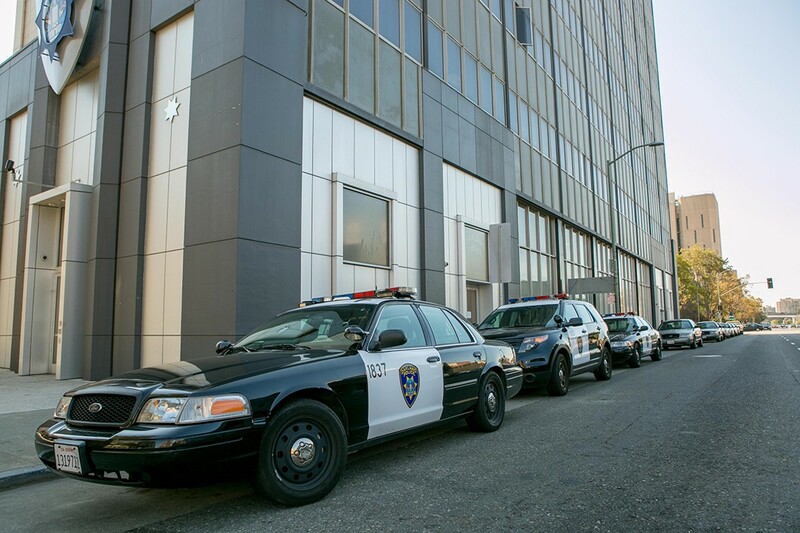 Oakland's cops ranked first among large California cities in terms of overtime pay per full-time employee, the report stated. The new auditor's report shows that some OPD officers more than doubled their pay in 2013, with one officer earning $203,056 in overtime on top of a base salary of $98,192. The PFM Group also contended that OPD's growth in overtime pay isn't necessarily caused by short staffing and backfilling patrols. "The solution extends beyond adding more personnel," the report stated. PFM offered 71 recommendations to reform OPD's overtime spending practices, including controls to tighten overtime authorizations and better tracking of officers out on workers' compensation. PFM Group also recommended reducing the city's reliance on compensatory time, or comp time. For each hour of overtime worked, an officer can take 1.5 hours of compensated time off instead of receiving overtime pay. The auditor's new report identifies "questionable practices" that have allowed many Oakland cops to accrue hundreds of hours of comp time. In some cases, this accrued comp time is worth tens of thousands of dollars. Under city practices, police officers can sell back comp time, and they're paid at a rate of 1.5 times their current salary rate — not the salary rate at which they earned the comp time. "I have comp time I accrued as a police officer which is worth considerably more now than it was when I earned it," OPD Chief Sean Whent told members of the council Public Safety Committee last week. The practice of selling back comp time isn't addressed in the police union's current contract with the city, and OPD lacks a written policy on the issue, according to Roberts. Regardless, comp time buybacks totaled $5 million over the past four years. "We felt this is a practice that needed to be called out," said Assistant City Auditor Mike Edmunds. PFM's 2005 audit recommended that Oakland slash the amount of comp time an officer can accumulate from 480 hours to 120 hours. The current contract between the Oakland police union and the city allows for accrual of 308 hours, which is the highest of any major California city, according to Auditor Roberts. "It seems like it's gotten out of hand," said Councilmember Dan Kalb about OPD's use of comp time. "I don't want them to have zero comp time, but I would support a different limit that is around the average of ten other cities in California that are comparable to Oakland." The Oakland police union's contract expires in June, and contract talks are underway that could result in rule changes increasing or decreasing police overtime costs. Oakland Police Officers Association President Barry Donelan did not respond to a request for an interview for this article. OPD representatives also did not reply to a list of questions sent via email. These Female Skateboarders Are… Faculty Punished for Speech?